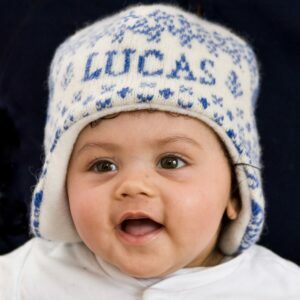 If you are searching for the perfect personalised baby gift, you have come to the right place! Charlotte’s personalised baby blankets make a very special and unique gift for a new baby. 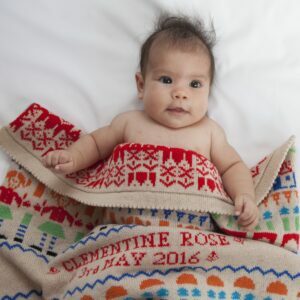 Each baby blanket is individually made to order, with baby’s names and date of birth knitted as an integral part of the blanket. Charlotte has been knitting her baby blankets for over 20 years and in that time has received lots of feedback from delighted customers! 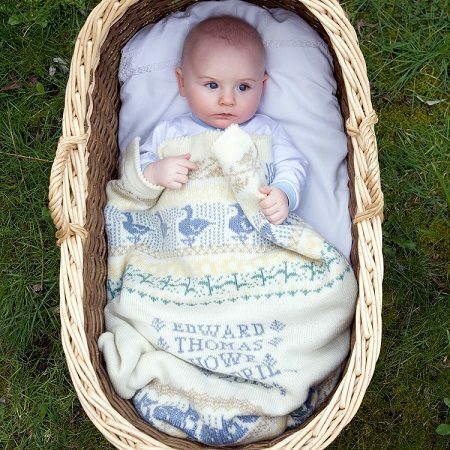 The blankets are loved by babies, treasured by parents and make a lovely keepsake. Each blanket is completely unique. They really do make the perfect personalised baby gift – for a new grandchild, niece, nephew, godchild or for friends and work colleague’s new arrivals. 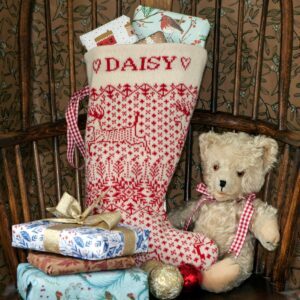 They can be given to celebrate the arrival of a new baby or as a Christening gift or naming day present. 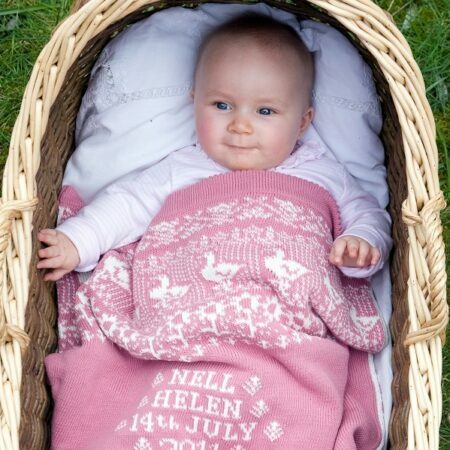 The personalised baby blankets are available in easy to care for cotton, soft merino wool, and luxurious cashmere, in a range of designs and colours. Visit the Charlotte Cot Blankets website to see the full range of designs and colourways available. And if you have any questions about the blankets, please do contact us. We are happy to help!